$310->$53 An adorable dress in a unique colorway. --I ship anywhere. Sizes, shipping, and feedback are in the main description. Please message me if you have questions (I usually don’t see comments)! -BABY Flowers and Ribbon Salon Music OP has violins, harps, clarinets, ladders, musical notes, and wide pink ribbons on a pale green background with daisies. There are some faint marks and it does not have the detachable sleeves, these keep the condition from being Very Good (see photos). 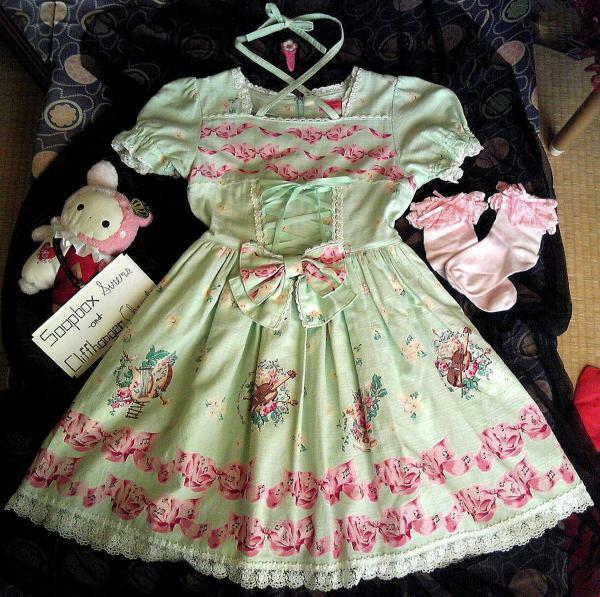 -*Buy It Now only Metamorphose Cotton Blend Raschel Lace Crew Socks' condition is Very Good/Good. 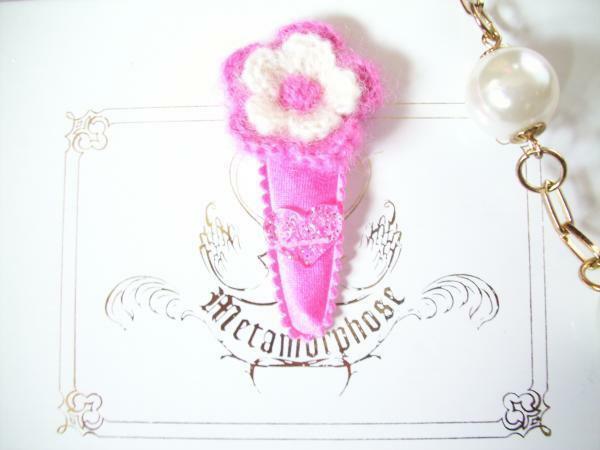 -*Buy It Now only Metamorphose Pansy Hairclip's condition is Like New. I has a clear heart with the brand's name on it.